The astonishing debut from the young American filmaker, Benh Zeitlin offers us a child's eye view of a journey of survival in the Louisiana bayou of the near future after a climatic disaster. 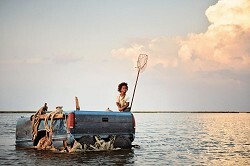 Young Quvenzhane Wallis is quite remarkable as Hush Puppy. Convincing, poetic and mysterious, this is genuinely original filmaking. A gritty British crime drama for our times. Out on parole after 8 years inside, Bill Hayward returns home to find his young sons abandoned by their mother and fending for themselves. Unwilling to play Dad, his arrival brings the attention of social services. Bill has to make a choice to save his family. Poignant with a warm heart. The true story of an ordinary man who wins the queen's heart and starts a revolution. Centring on the intriguing love triangle between the ever more insane Danish King, the royal physician who is a man of enlightenment and idealism and the young but strong queen. A genuinely fresh take on the costume drama. A charmingly oddball romantic comedy. Pat's life has met an all time low and he finds himself living back with his parents when he meets the mysterious Tiffany (Jennifer Lawrence). She offers to help Pat reconnect with his wife and life but he has to help her in return. Wonderful performances all round and a crackling script. This breezy, historical comedy-drama centres on one of the pivotal moments in US-British history. With the world beating a path to war, friendships are formed and insights gained when President Franklin D Roosevelt hosts George VI and Queen Elizabeth for a special weekend in 1939. 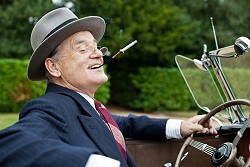 Bill Murray excels as FDR. When protesters raided the American Embassy in Tehran in 1979, six US Embassy staff escaped. 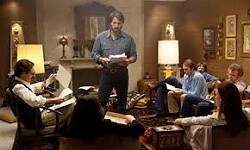 Argo tells the story of the daring scheme to help them get out of Iran. Quirky cameos from Alan Arkin and John Goodman as Hollywood producers relieve the tension. Winner of the Oscar for Best Film 2013. 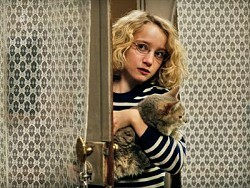 This intriguing French film unfolds the friendship between 11 year old Paloma and a prickly concierge. Paloma is bored with life and has decided to end it all on her 12th birthday but as the day approaches she is inspired to think again. 'A sweetly hopeful experience'. A man and a woman meet by accident on a Sunday evening at their childrens' boarding school. 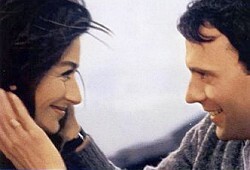 Slowly they reveal themselves to each other, finding that each is a widow/widower. Ah Tao has cared for four generations of Roger's family but after she suffers a stroke the roles could just be reversed. A Simple Life has this incredible charm to it, that not only has you admiring the relationship between Ah Tao and Roger but also the weight it puts into its heartfelt message. At the centre of this gentle, engrossing film is Yusuf, a shy, socially awkward boy. He is happiest spending time with his father collecting honey in the rich mountain forests which surround his home in the Black Sea region of Turkey. When one day his father does not return from work, Yusuf's life is thrown into disarray. This is the incredible true story of Rodriguez, the greatest 70's rock icon who never was. Discovered in a Detroit bar in the late 1960's he recorded an album that the producers believed would secure his reputation as the greatest of his generation. But the album bombed and Rodriguez disappeared into obscurity amid rumours of suicide. Come and join us for our Family Film - the Oscar-winning Frozen. Fearless optimist Anna teams up with Kristoff in an epic journey, encountering Everest-like conditions, and a hilarious snowman named Olaf in a race to find Anna's sister Elsa, whose icy powers have trapped the kingdom in eternal winter. Two Scottish soldiers return from Afghanistan, home to Leith (Edinburgh, Scotland) to the warm embrace of their families. 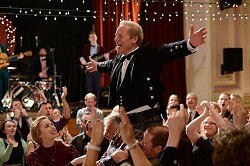 With music by pop-folk band The Proclaimers, the film follows how they struggle to learn to live a life outside the army and to deal with the everyday struggles of family, jobs and relationships. An uplifting film to end reel people's 2013-14 season.